Flowers in China are a wonderful way to tell loved one that, despite the distance, they are in your thoughts. In most cases, you can even arrange to send flowers to China same-day. 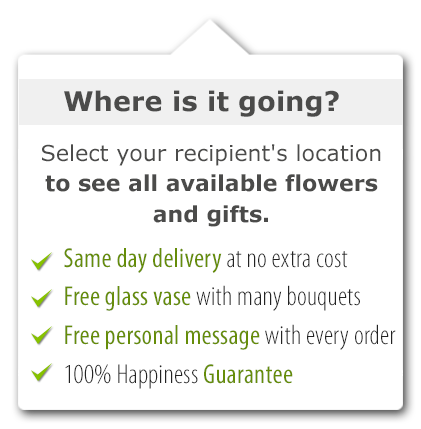 Just order by noon local time in the place where your flowers will be sent in China. With so much space you don't know where to begin, looking for the flowers in China is a marvelous proposition. Start, perhaps with parks and botanical gardens in China's cities: Shanghai, Beijing, Hong Kong. The vast country has soaring mountains, fertile plains and coastal regions. With such diversity and such incredible beauty, a flower delivery in China is sure to reap the best of the country's exotic flower offerings. And that, of course, is our goal at daFlores. When you send flowers to China , you will be sending only the best. A trip to China is an exciting adventure; but you can come closer by sending flowers to China. To arrange your flower delivery in China, we work only with the most wonderful florists. Each must have been in business for over ten years, and must pass a careful quality check. 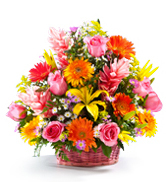 Your flower delivery in China is carefully assembled from blossoms that were growing that very morning. There is no flower recycling—ever. If you have loved ones in China, it's comforting to be able to send them a gift. When you send flowers to China, you tell them that they are firmly in your thoughts. DaFlores makes it easy to do this. 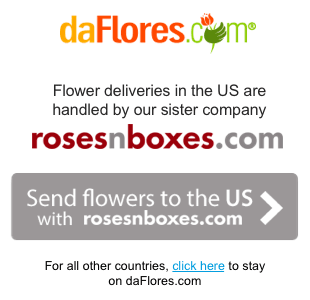 Just visit daflores.com, pick China from the list of countries, and select a bouquet. Fill out the details and you will soon be able to add your own flowers in China. These, of course, are extra-special. Same Day Flower Delivery to all cities in China. Para ver esta página en Español, favor visitar nuestra página de Enviar Flores a China.